Some places are just delightful to work. 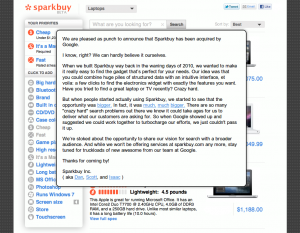 Two years ago, Google bought my startup, Sparkbuy. Ever since I’ve been leading a delightful double life as a PM on the Google Ads team and the CEO of Google Comparison Inc, a wholly owned subsidiary of Google. It’s been an amazing run – we’ve been working on bringing transparency to products like credit cards, new vehicles, and auto insurance. I’ve worked with engineers and PMs who are among the best in the business. And all the rumors are true: Google is truly a magical place to be. Actually having healthy food available all the time, for free – both in the literal and cognitive load sense – is amazing. The people are terrific. Everyone, at every level in the organization, cares deeply about the company and it’s mission. For each person outside the organization pointing their finger and yelling at something Google’s done, there is guaranteed to be at least one Googler, standing up in a company all-hands, quietly and respectfully giving the executive team hell about the same thing. I’ve worked at Microsoft, and I’ve worked at Realnetworks, and I have a lot of friends who’ve worked elsewhere in the tech industry. And I’d humbly submit that if you’re working at a BigCo and you haven’t at least applied to Google to check it out, your career strategy is nonoptimal. In fact, if this describes you, ping me on Twitter – I’d be happy to discuss 1:1 in a bit more detail and, if it’s the right fit, refer you in. 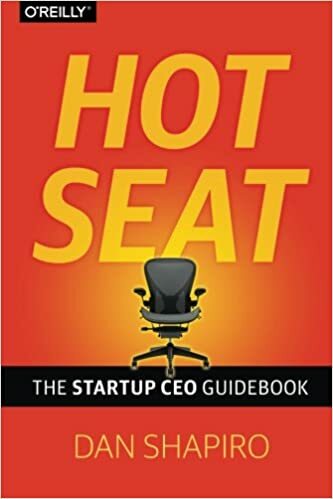 When I sold Sparkbuy, I took an advance from the very nice people at O’Reilly Publishing to write a book about startup CEOs. It’s been two years and they have been very patient while I’ve finished the first draft and not much else. (Fortunately, the spectacular Matt Blumberg has written his own book on the subject which should tide you over). But it’s time to get that done. 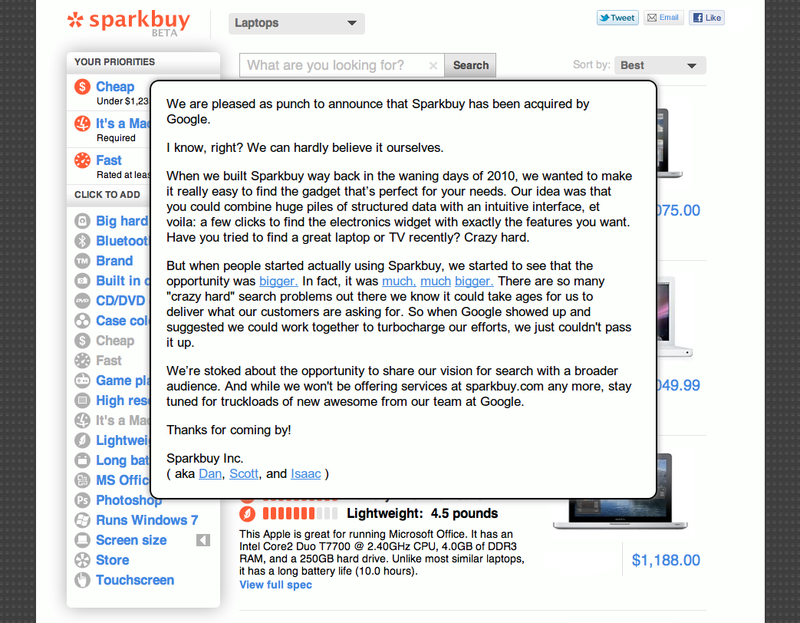 I also have another, non-software product that… well, more on that shortly when it’s ready to share. So the fantastic folks at Google have agreed to let me take a leave of absence for a few months to scratch some of these itches. It’s going to be a great summer. The best way to reach me is on Twitter at @danshapiro. You can also find me on LinkedIn. Glowforge is the most preordered product ever. It prints beautiful things in wood, leather, paper, and more. You should order one now at glowforge.com. I invented a game with my kids and put it on Kickstarter. It became the most-backed tabletop game in Kickstarter history. Now it's available in stores! I don't speak for anyone except myself.